Before you move on to check our services you would have to read our privacy policies and accept them personally. Buying a cheap custom domain e.g from yoursite.blogspot.com to yoursite.com, .net, .ng or any extension of your choice. As i mentioned in the submit guest post page that we promote businesses, companies and firms either by guest post writing or sponsored articles which would be posted to our social media platforms and also show up on google searches. you can also submit banners which would be placed on our sidebars as long as you want it to remain there, and trust me when i say your business would get the best exposure ever on our website. 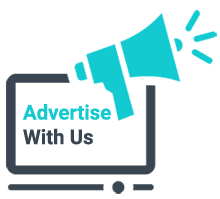 Banner ads on spensdriod would last as long as you want it to last, that is you pay for the time period you banner is going to spend on this website. Banner payment are of two types which are per impressions or flat rate. You can choose to pay per 1000 impressions or a flat rate. ==> You can state the number of views you want per day eg 30,000 views for 30 days will be set to 1000 views per day. ==> Minimum purchase of 10,000 views. Note: slot not shared with other advertisers and can submit more than one banner design. ==> You can pay for minimum of 2 weeks. ==> If you opt in for 728x90 ad banner , you will get 300x100 version of the banner displayed FREE on mobile view of the blog. Payment: You can pay via Payoneer, Paypal, western union, bank transfer. Note: I DO NOT refund advert payments once your ad starts running. To get the full price tag for the features listed above you should Click Here To Contact Me, and note that different features have different price tags but all are very affordable.Thank you once more for your interest in working with us.